Ruth Cooke is chief executive of Midland Heart which delivers homes and services across the Midlands which enable people to live independently. She was appointed in 2012, having previously been finance director, and regularly writes and speaks on housing and care issues. Before joining Midland Heart, she was group director of resources at Arcadia Housing group, and has also worked at Anchor Trust. She is a chartered accountant and a member of the National Housing Federation finance policy advisory group and a board member of Herefordshire Housing and My Home Finance. Lord Robert Edmiston was made a Conservative life peer in 2011 but quit the House of Lords in 2015 to spend more time on his charity work. He is one of the UK&apos;s biggest philanthropic donors and wants to devote more of his time to religious and educational charities. He set up Christian Vision in 1988, a worldwide charity aiming to help a billion people which has benefited from a £58.9 million personal donation from its founder. His Coleshill-based property investment and development group IM Properties continues to perform very well with significant land investments. At year end, the total value of IM&apos;s projects under construction stood at £279 million. Veronica Kumeta is co-founder and trustee of the Ladies Fighting Breast Cancer charity. She set the charity up 17 years ago with the late Sue McMasters to support a friend who was suffering from the disease. The charity raises much-needed funds to go above and beyond the capability of the NHS to support men and women with breast cancer in the Midlands. The charity has supported the Queen Elizabeth Hospital&apos;s cancer unit with funding of more than £1 million to procure new medical equipment and create a centre of excellence. Her awards have included the Birmingham Post community fund raiser of the year and the QE Hospital best in care award. James McLaughlin is chief executive officer at the blood cancer charity Cure Leukaemia in Birmingham, a post he has held since 2012. Before that, he was commercial director at Warwickshire County Cricket Club, just one of a number of commercial roles in sport he has held. Cure Leukaemia was established in 2003 to allow patients in the region with blood cancer to access effective new treatments. The charity was instrumental in securing the £2.2 million needed to build the internationally acclaimed Centre for Clinical Haematology at Birmingham&apos;s QE hospital. He is co-owner of football management agency 73 Management, with Matt Le Tissier and Francis Benali. Sheldon schoolboy Harry Moseley died in his mother Georgina&apos;s arms following an inoperable brain tumour. In his short life, he raised more than £750,000 for cancer charities by selling beaded bracelets. He died in 2011, aged just 11. After his death, his mother carried on his legacy by raising more money for the Harry Moseley charity - Help Harry Help Others. She documented his story in the book Making it Happen. She set up the Birmingham drop-in cancer support centre in Stechford in 2015 and this year won a Pride of Birmingham special recognition award. Toby Porter took up his appointment as chief executive of Acorns Children&apos;s Hospice last year, replacing David Strudley. The charity, with hospices in Selly Oak, Worcester and Walsall, was set up in 1988 and has helped more than 2,500 children and their families, providing support for life-limited or life-threatened babies, children and young people. It celebrates its 30th anniversary in 2018. Mr Porter was previously chief executive of HelpAge International, a network of organisations helping older people overcome poverty and discrimination. He has also worked at director level at Save the Children and Oxfam. Hanna Sebright is chief executive of the Midlands Air Ambulance charity which covers a population of six million. Appointed in 2009, she also sits on the board of the Association of Air Ambulances. During her time in charge, she established the Midlands Air Ambulance as an independent charity. She has overseen the redevelopment of three airbases, the relocation of the charity&apos;s HQ to Stourbridge and the £39 million tendering for a replacement aircraft fleet. At the same time, she has reduced operating costs. 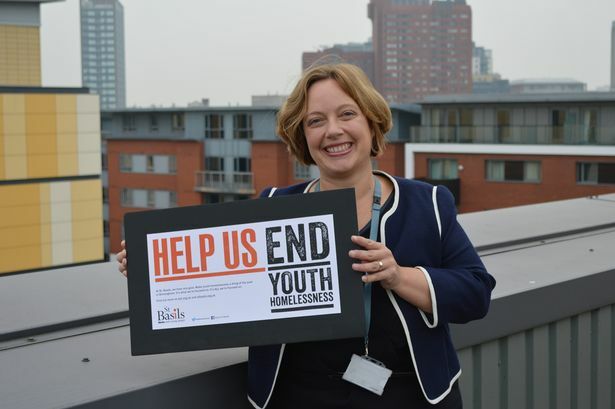 Jean Templeton is chief executive of St Basils, the Birmingham-based youth homelessness charity which has been operating for more than 40 years. St Basils helps more than 5,000 16-25 year-olds across the West Midlands each year, either with direct accommodation or advice and support. Ms Templeton is the third sector assembly champion for the Housing and Regeneration Network and a member of the City Housing Partnership executive board. She contributed to the Ministerial Advisory Group on Homelessness.